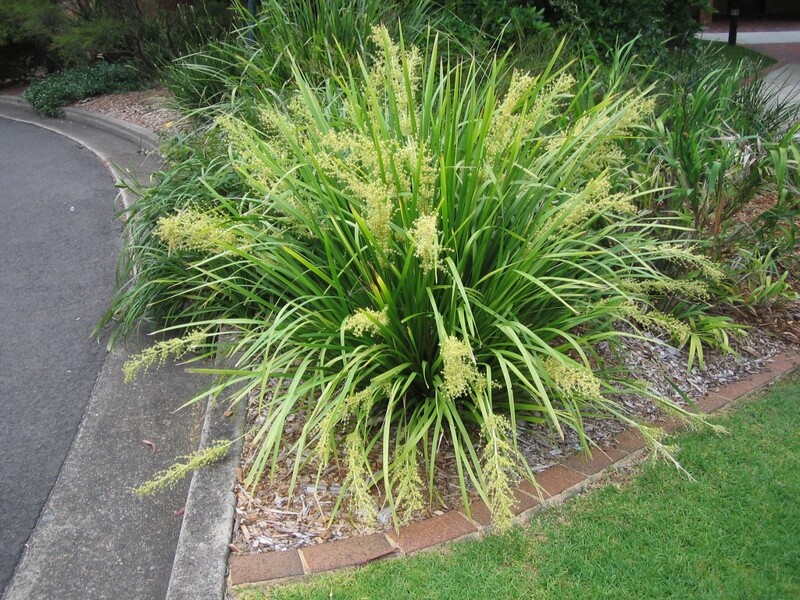 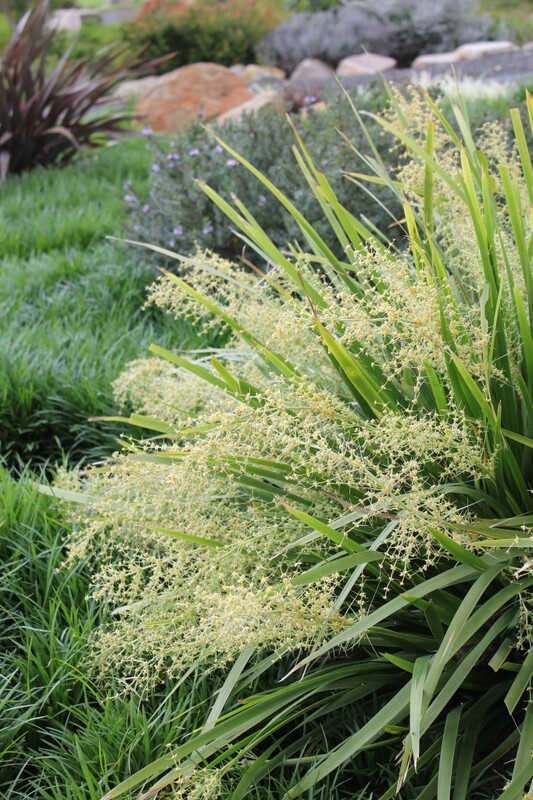 Lomandra 'Katie Belles' is a very showy lomandra with bright green foliage and fragrant yellow flower spikes in spring and summer. 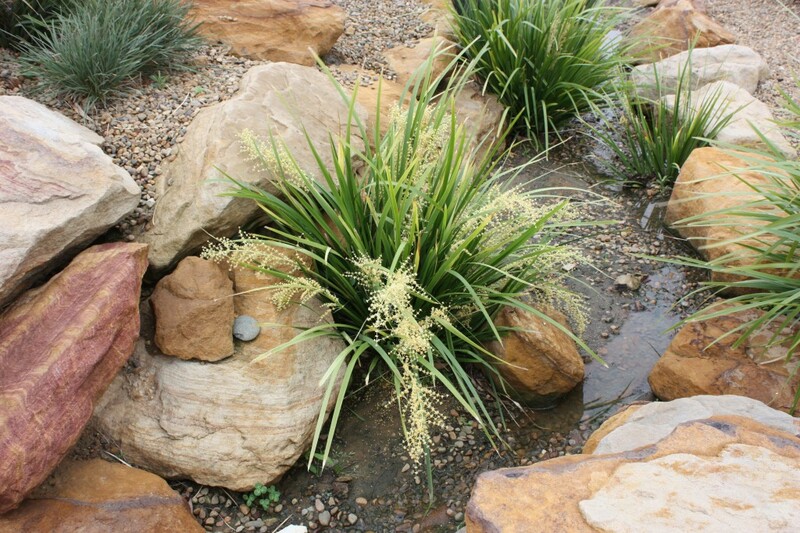 Tolerant of heavy soils, cold and having wet feet. 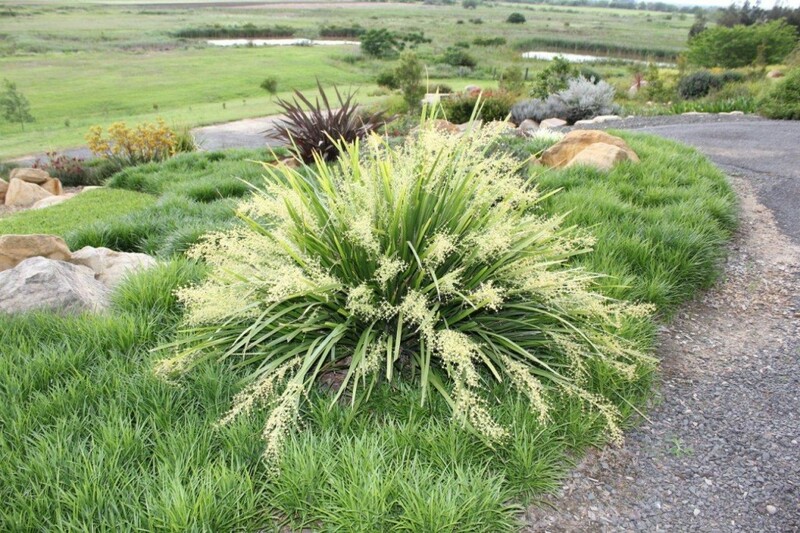 Grows to a maximum of 5 ft. tall in general conditions. 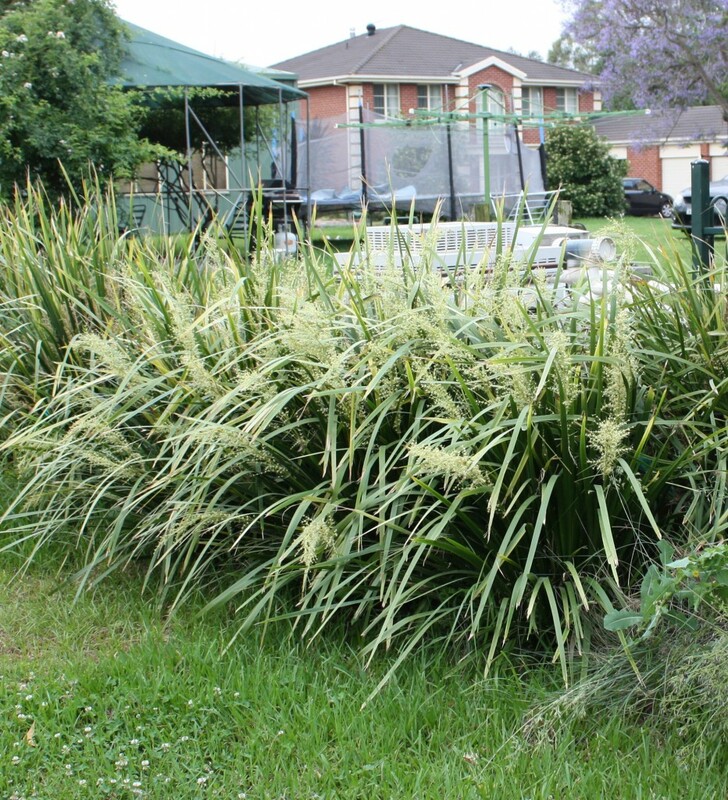 In optimal conditions it can grow to 6 ft.
Will tolerate full sun but prefers filtered sun to moderate shade. 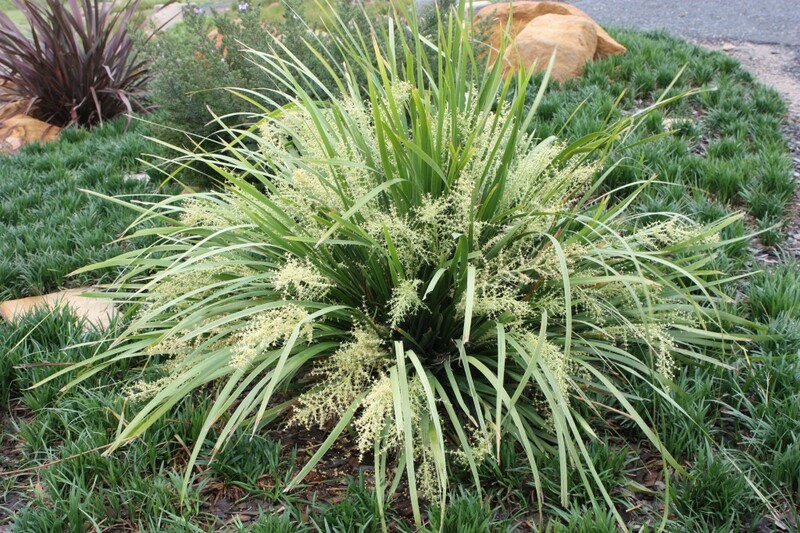 Great as an accent plant in in mass.